Your perfume expresses something about you and it makes a lasting impression. Only last month I was at a party being invited to smell someones perfume and since then she has been known as ‘the girl with the perfume’. A 2013 study show’s that the average woman will spend over £3000 on perfume during her lifetime. When I was a child my favourite thing to do was to make my own perfume. Using a bowl of water and some flower petals picked from the garden. However it never came to much more than just a bowl of scented water. But what about creating your own perfume and having it bottled professionally just like the celebrities do? If Beyonce, Britney Spears and Nicky Minaj can do it then why can’t we? 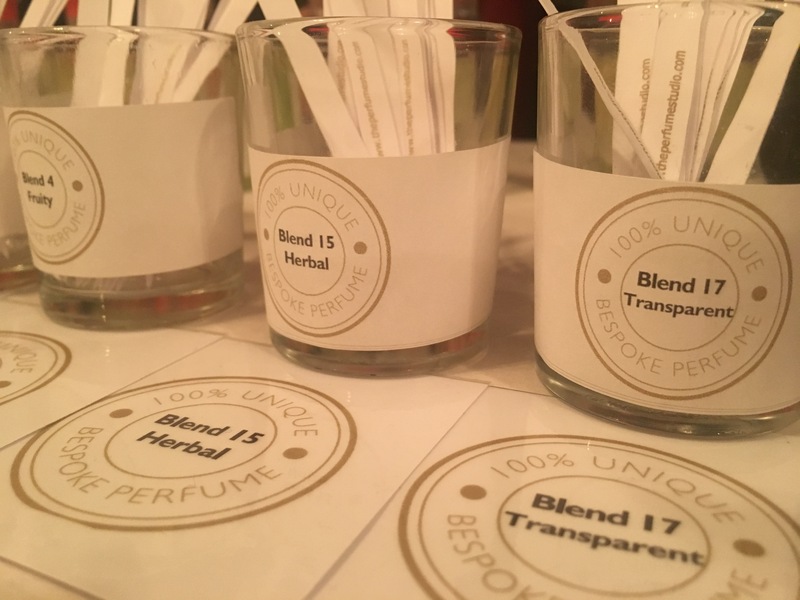 Two weeks ago I went to #BloggersAreUs up in London and met Ben from The Perfume Studio. The perfume studio specialise in creating unique individual fragrances. Brushes play an essential part in my daily makeup routine. From eyebrows to lips I use a brush for every product I apply to my face! I have more make up brushes than the average person. Some brand new and some that haven’t been used yet. Nothing feels or looks better than a brand new brushes! Am I right? However after a while they get clogged up and you end up with marks in your foundation from where the the brush bristles are stuck together. That’s when you know you really need to clean your brushes! Although it is recommended you clean your brushes once a week I am the first to admit I don’t do this weekly! How do you clean your makeup brushes? If you ask anyone how to clean make up brushes there is a 90% chance they will say baby shampoo or any other form of liquid soap. They do work but I find it never removes the product in the middle of the brush and doesn’t get the end result I truly want. 1. Designated Survivor is only in first season but new episodes are uploaded every week directly to Netflix in the UK. It’s definitely worth a watch it stars Keifer Sutherland and Italia Ricci. The story line is based around the US government after the capital building is blown up by a terrorist attack killing 99% of congress.